While digitization is increasing the pressure on sourcing software engineers in almost every industry and is making the recruitment of well qualified staff difficult, many CTOs are increasingly looking for good nearshoring partners for greater scalability, or even considering setting up their own offshoring centers for their software development requirements. Many have already had their first experiences – both good and bad – and are therefore sensitized to the issue of quality in execution and service. “Nearshored” Freelancing is used very often, but it is the riskiest option and the biggest source of dissatisfied customers. Freelancer platforms are used for an immediate need and people from abroad are booked – quickly and easily, in the same way as you book an order on Amazon: click – done. The problem with this approach is that the management of freelancers is already a challenge on-site, but off-site it becomes a nightmare. The freelancers have many clients, are mostly multiplexed in their tasks and have legacy work to deal with. In addition, they are probably integrated into a project organization, but not in a line organization. Everyone is their own entrepreneur, with a big impact on service quality. Serious nearshoring service providers do not work with freelancers for these very reasons. Direct Nearshoring is IT Sourcing from a nearshoring specific provider abroad. This is a viable solution for resolving immediate needs, but it also has some disadvantages, much like with a local engineering provider. Thus, the team is limited to available engineers that are not currently booked to specific projects, and the provider will try to place those who are free, regardless of whether training, skills and experience fit optimally. Also, most providers mix project- and resource-based services, which again brings with it the disadvantage of legacy work. Managed Nearshoring does not have these disadvantages: the service provider removes the complexity of different providers for the customer – it can bring the optimal fit specialist with the optimal matching skillset, and it can be escalated both organizationally and in technical matters. In addition, the developers as well as the customer are looked after throughout the cooperation: this service relieves the burden and is particularly valued. Managed nearshoring is the ideal recruiting model when the development team needs to scale quickly or stay flexible for a longer development phase. There are also additional accompanying services that can be brought into play, such as in-sourcing or maintaining know-how and specific engineers even during discontinuities in the projects. 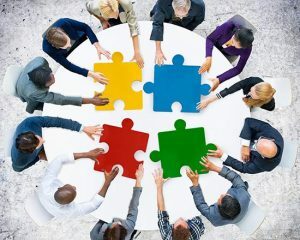 Managed nearshoring makes sense if you have the project management internally and your development processes are solid. This model is, therefore, no substitute for outsourcing of development projects. It is also not suitable if you need the developers 100% on site during the entire development phase. A new variant is Hosted Nearshoring, which makes sense for all those companies that already have outsourcing experience, but need maximum control and long-term continuity, without wanting to set up a nearshoring development center themselves. Engineers are selected to specification and are specifically hired for the client’s mission, including a separate office, mission identification, and corporate identity: as a very self-owned dedicated team, working where the professionals are available and affordable. Assistive Technology GmbH is a pioneer in Managed and Hosted Nearshoring services with a rich network of partners in various countries and with AT sister companies in Slovenia and Switzerland. Additionally, customers can also benefit from local (DACH) engineering know-how, consulting and project management. Above all, customers value the various outsourcing models (project-based, near-shored, off-shored, in-shored) from a single source, as well as the ability to switch between the different sourcing models in an agile and effective manner.